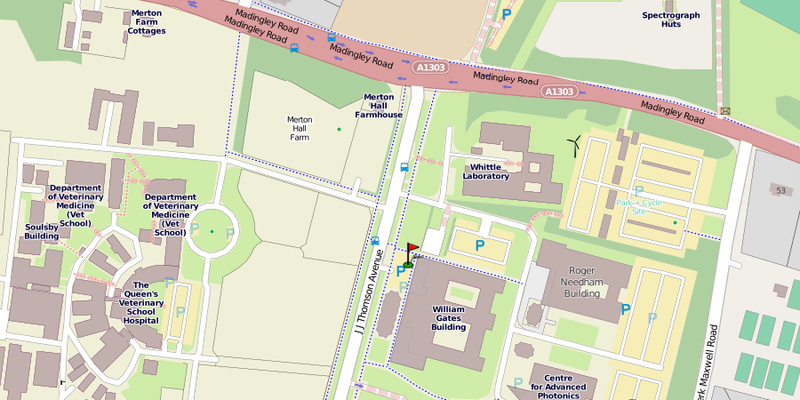 We are on the West Cambridge Site, just south of Madingley Road, between the M11 and Cambridge city centre. From the M11 heading north: come off at junction 13 and turn right into Madingley Road (A1303). From the A14 heading west: come off onto the B1049 (sign post: Cambridge), drive down this road (Histon Road) until the end where you will need to navigate through three closely spaced sets of traffic lights: you need to turn right onto Victoria Road, then immediately left onto Huntingdon Road, then immediately right into the A1134 (sign post: Ring Road; takes you down Mt Pleasant, Shelly Row, Albion Row). 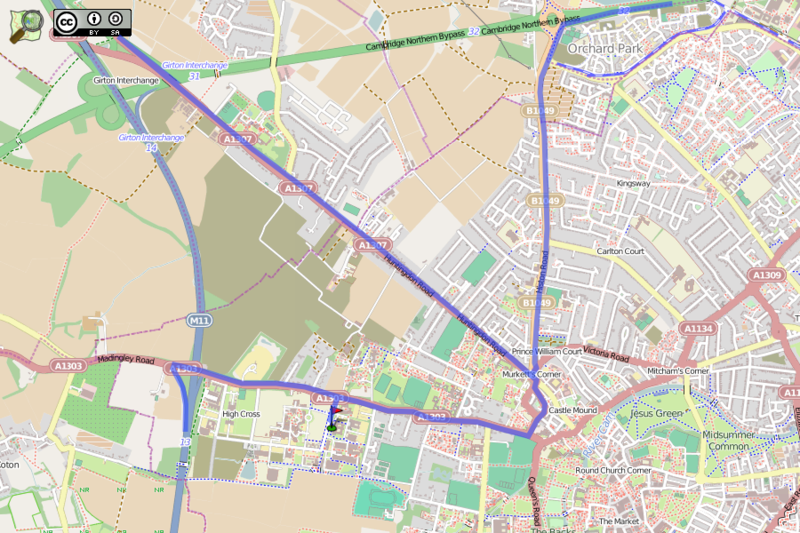 At the bottom of Albion Row, turn right onto Madingley Road (A1303). From Madingley Road turn into J J Thomson Avenue (signpost: West Cambridge Site). The Computer Laboratory is the three storey brick building on your left. There is a large white tent-like structure (the cycle park) in front of the building. The Computer Laboratory’s visitors’ car park is the second turn on the left after you have entered JJ Thomson Avenue. Our reception (phone 01223 763500) will get you in touch with your host when you arrive. You should let them know if you have used the car park. Contact them if you have any problems.